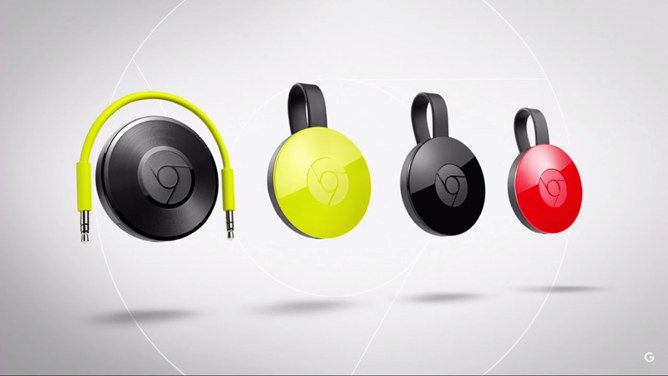 The Chromecast 2015 and Chromecast Audio are both live in the Google Store. 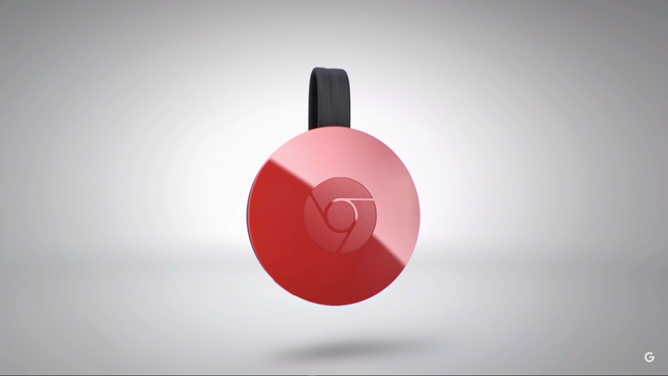 Google's Chromecast streaming gadget was a surprise success when the company introduced it in 2013 - although perhaps not so surprising when you consider that it plays web video from a variety of services and undercuts even the cheapest competitors from the likes of Roku and Apple TV. 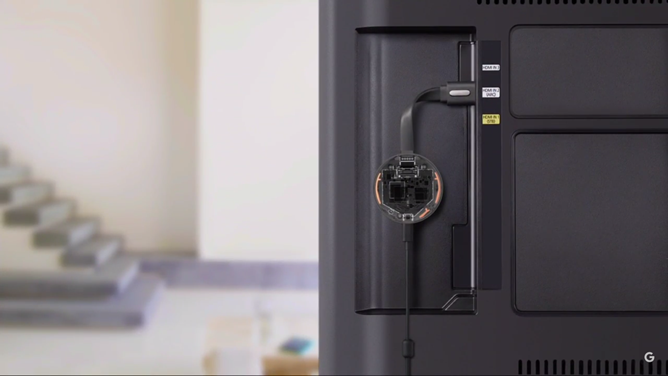 Chromecast hasn't had a major revision in over two years, perhaps because it hasn't really needed one. But now there's one available, a new hockey puck design with an "dangling" HDMI port, wider Wi-Fi support, and better video thanks to an improved antenna design. 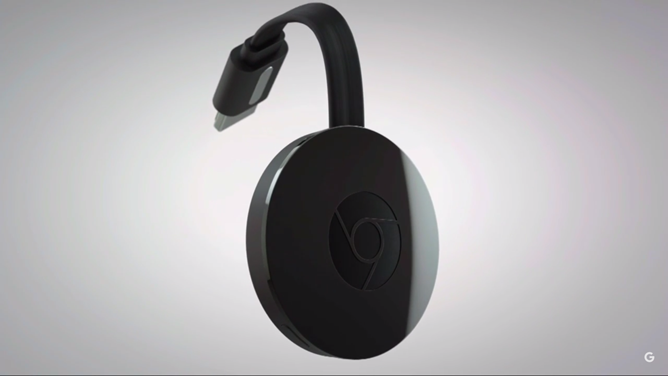 The new "puck" Chromecast is compatible with 802.11ac Wi-Fi as well as 5GHz networks, and a triple-adaptive antenna design that should make the Chromecast much more reliable in terms of signal. Colors include the standard black, lemonade (yellow), and coral (red). Google's Cast for Audio is getting its own official hardware, a dongle that allows you to connect any standard speaker to your Wi-Fi network and use it like a Cast for Audio receiver. It's basically just a circuit board, and audio processor, a Wi-Fi radio, and a headphone jack, allowing audio-only apps to stream music to local speakers. 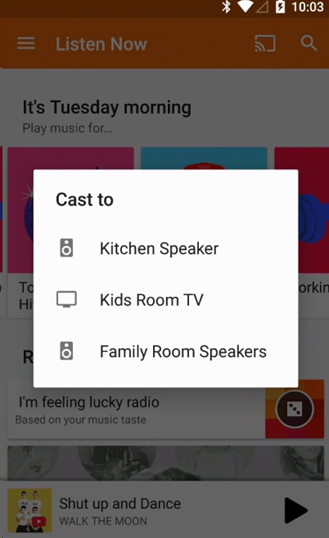 You can combine multiple Chromecast Audio units to make a multi-speaker or multi-room setup a la Sonos, but much cheaper (available in an update later this year). 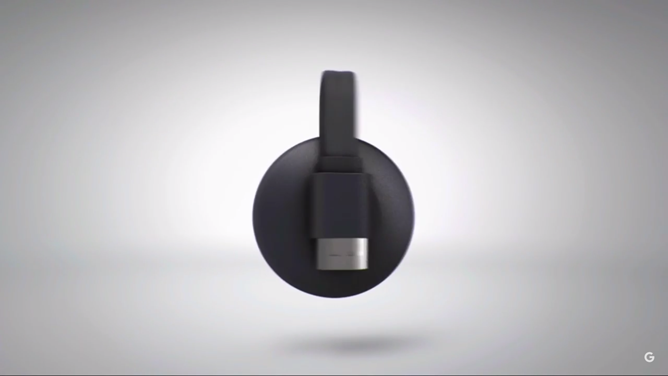 The design looks a bit like a tiny vinyl record, and it features the same Wi-Fi improvements as the new Chromecast. 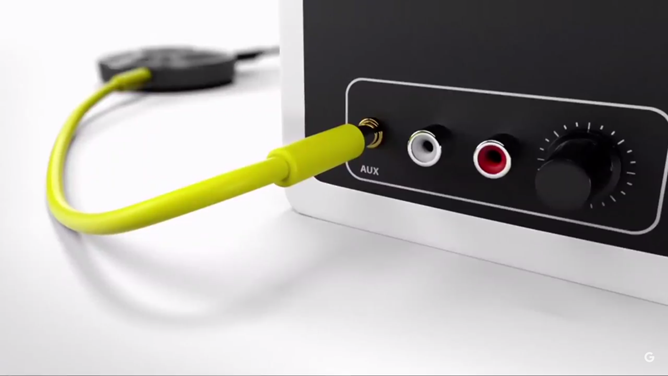 Chromecast Audio includes support for RCA and optical connections as well. 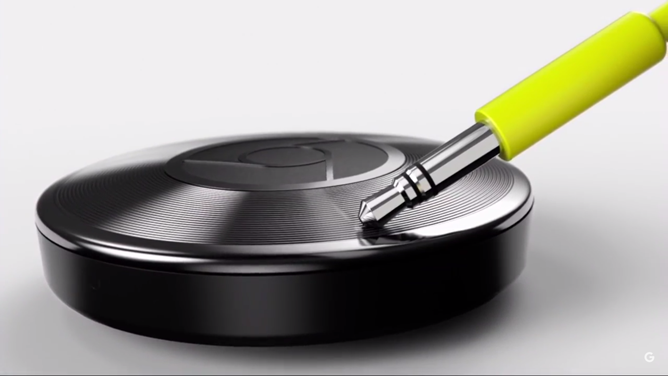 Chromecast Audio will work with multiple controller devices on the same network, including guests and iOS devices. You can even access other users' playlists as they're playing on a local speaker in compatible apps like Spotify. 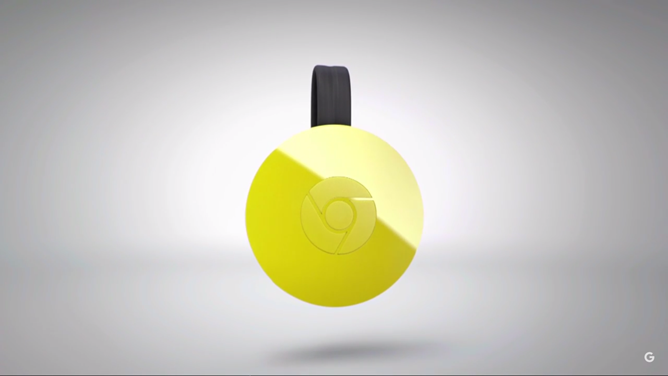 The new Chromecast will cost $35, the same as the old model, and it's available today in 17 countries. It's available in retailers, but if you want colors you'll have to buy it from the Google Store. 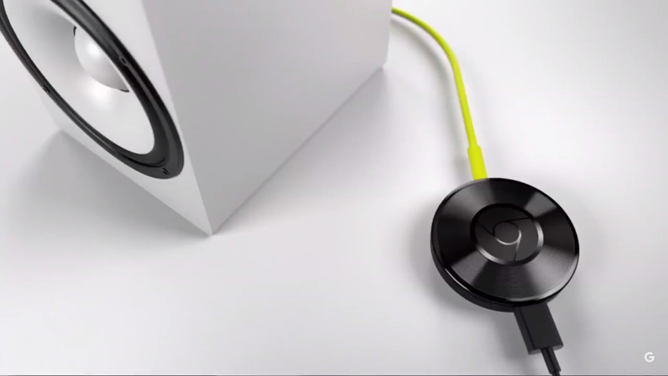 Chromecast Audio is also available today for $35 in the same countries.